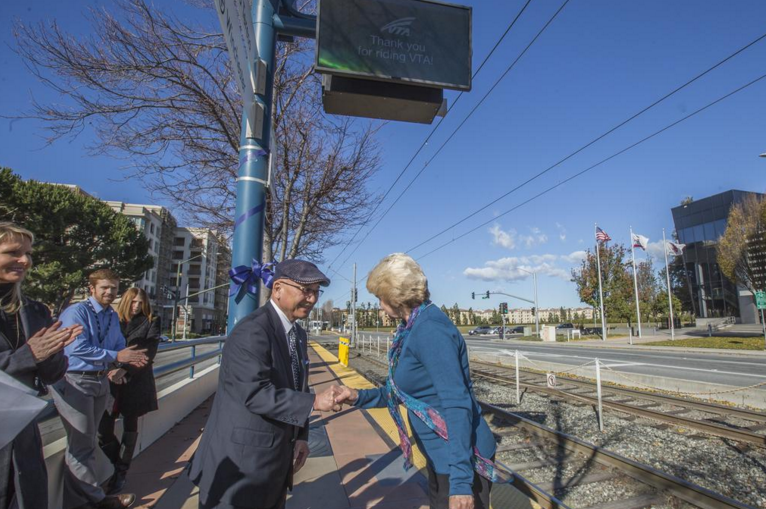 VTA is in the process of adding a huge convenience feature to the Light Rail system. The 20 busiest stations are getting 47-inch passenger information monitors that will let riders know when the next train arrives. 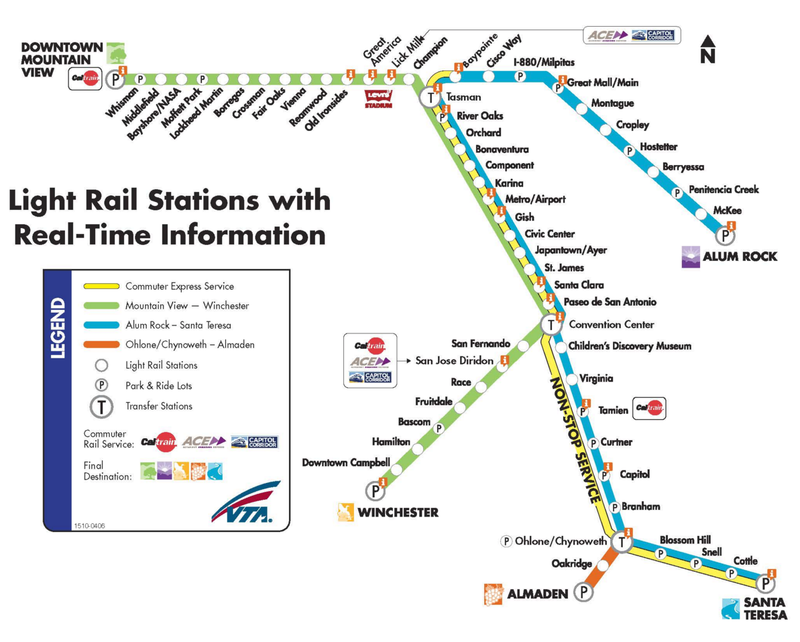 Every station marked with an "i" below will have the new system by January 6th. 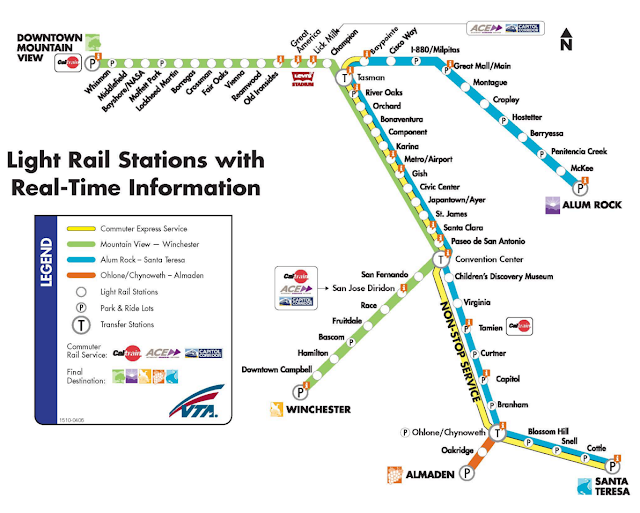 There are a total of 62 VTA Light Rail stations and it is possible that the other 42 will get the real-time information monitors at some point in the future. It would also be nice to get these installed at the new Bus Rapid Transit (BRT) stations and popular bus stations. The monitors were provided by Allied Telesis, a San Jose company based at 3200 N. 1st Street. It's about time! Most MUNI stations, busses included, have have this for years.